My mentor, Richard Bresnahan, has had a profound influence in my work and has shaped the way that I think about it. His teacher, Takashi Nakazato, has been very important to the development of my aesthetic and I often think about the way that our works are connected. This quality of connection, the relationship of a tradition to modernity, has been an enduring theme for me. I wonder what it means in a society that favors novelty and has a tenuous relationship with its own history. My feelings about this question changes often. It volleys between loving the work that I’m making right now, to hating the work that I’m making now, to loving the process of making a bottle or large coiled jar, to loving a finished cup that I have in my cupboard in my kitchen at home, to thinking about the work that I haven’t made but want to make and dreaming of its possibilities. My drawings, too, are wild and unknown to me. Creatively they are counter points to my ceramic work where I often have a sense for how the parts fit together. The drawings are unexpected and each time I work on them it’s a process of discovery. My favorite work is dark, enigmatic, and mysterious. The best of it feels resolute yet untamed and unknown. Living and studying design in Denmark has been important to my work because it challenged my assumptions about what it meant to be an artist. Its influence, which first came as a brutal attack to my deeply held beliefs about the field, eventually lead to an understanding which was much more expansive and nuanced than I had previously imagined. Upon closer inspection, I discovered that my previously held beliefs could neither be excused as dogma nor upheld strictly on their own merit. Rather, I began to understand that they represented a social construct that effectively supported some modes of work within the field, but not all. Traveling and seeing other perspectives disrupted the unconsidered yet whole hearted adoption of these believes and eventually cleared the way for me to make the work that I make now. Traveling through Japan was also critical to my development. During my apprenticeship I was inundated with specialized techniques and aesthetic perspectives which came from my teacher’s training with a National Living Treasure family in the Karatsu region in Japan. I realized at some point that these stories had grown to mythic proportions for me and that it was important to see for myself what was going on. I had been living as a studio guest of a Japanese potter and realized one day while traveling by train from Tokyo to Nagoya that I could go to see the places and meet the artists whose stories had had such a profound impact on me. They were within reach. Just a train ride away. So I did. I traveled from studio to studio, meeting artists, visiting their kilns and studios. Tracking the influences. Sleeping on studio floors, sharing meals, visiting kilns and studios and clay deposits. What inspired you to study to become a potter? I loved the idea of expressing complex ideas and feelings through a limited structure; and was overwhelmed by the creative potential others had found within it. Functionality has always been important to me. 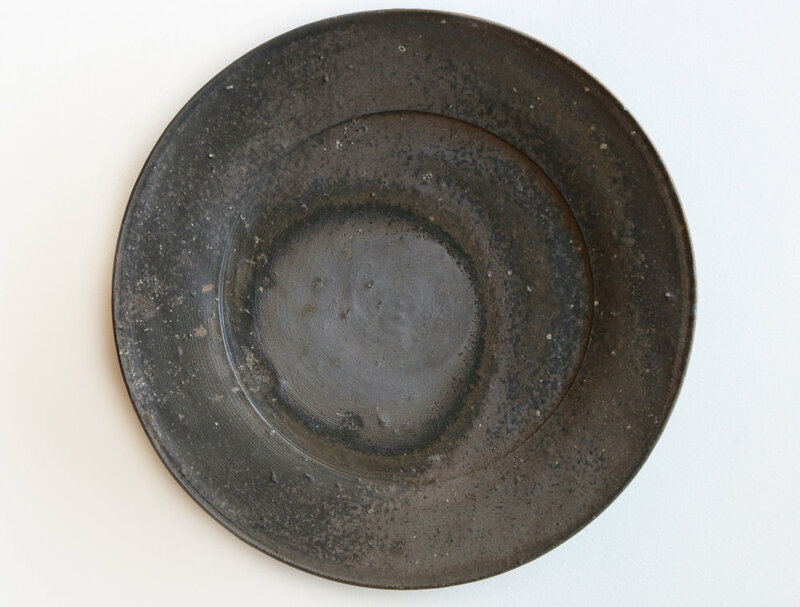 It is a form of engagement that is largely absent in other art forms; yet is essential to pottery. How long have you been making pots? Twenty-two years. I made my first pots in the spring of 1995. I was in my junior year of college at the University of Minnesota. Smitten, I continued through my senior year taking every class I could during that time. A week after graduating I became an apprentice to Richard Bresnahan and worked in his studio for just about three and a half years; leaving in November or December of 1999. I moved to Denmark a month or two later and studied ceramic design for about a year, then New York and Japan, before returning to Graduate School at the University of Iowa. Where do you get your inspirations for your work? I am deeply inspired by my teacher, Richard Bresnahan, and his teacher, Takashi Nakazato. Having studied within a specific lineage of makers, I feel responsible to them and their aesthetic tradition. Yet, theirs is a tradition of diversity. 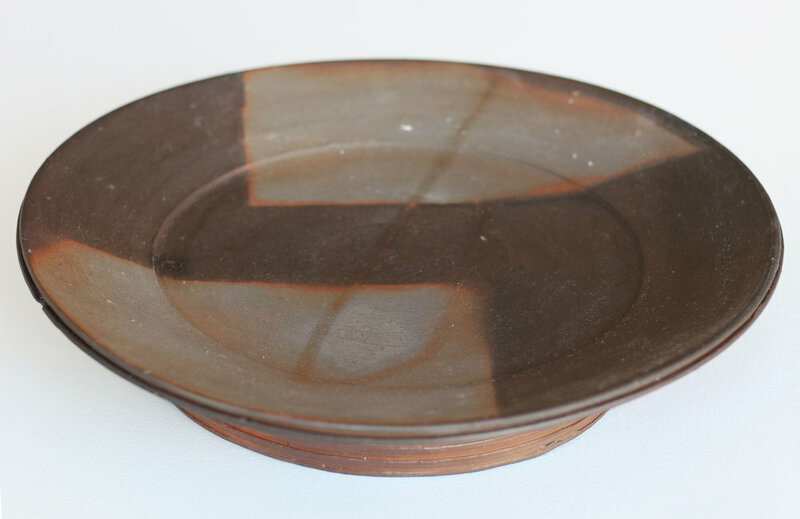 In terms of ceramics, I generally work in series, shaping wet clay by hand on the potter’s wheel, and fire the raw unglazed pottery in a wood burning kiln for three or four days. What are the most important factors you consider when you create your work? I like pots that feel enigmatic and mysterious. Resolute. I’m starting to sense a convergence between my drawings and pottery. Both deal with established structures and their subsequent disruption, but they don’t look alike and they were not made to relate directly to each other. The drawings, for example, are not of pottery and the pottery are not meant to look like the drawings. Still, it’s interesting to see how they resonate with each other. I know that the funerary and ritual objects from 5th century Sueki Ware is having an influence on certain formal qualities in the drawings, but what surprised me is how the drawings are impacting the tonal qualities of my pottery. What do you think is the most difficult aspect of making work? Why? Finding the time is usually the hardest part. My studio time is usually limited to late nights after my four young kids have gone to bed. So, a lot of my work is made between 10pm and midnight. I began as a painter with an interest in the post-nonobjective paintings of the Bay Area Figurative School that took place around San Francisco in the 1950’s. Elmer Bischoff and David Park were significant influences and I loved their use of paint, the uncertainty of image, and the psychological tensions in their work. I carried the experiences of painting into my ceramic work. My concern, from the onset, was on its artistic potential in the pottery over technical prowess.